Money flowing through the network included cash that can be linked to some of the most notorious frauds committed during Vladimir Putins presidency. In all, it is estimated that $4.6bn (3.5bn) was sent to Europe and the US from a Russian-operated network of 70 offshore companies with accounts in Lithuania. The details have emerged from 1.3m banking transactions obtained by the Organized Crime and Corruption Reporting Project and the Lithuanian website 15min.lt. This is the pipe through which the proceeds of kleptocracy flow from Russia to the west, said the anti-corruption campaigner Bill Browder. The leak focuses on Troika Dialog, a leading Russian investment bank now merged with the countrys biggest high street bank. Emails reveal how certain managers at Troika kept money flowing through the pipeline for more than eight years, starting in 2004. 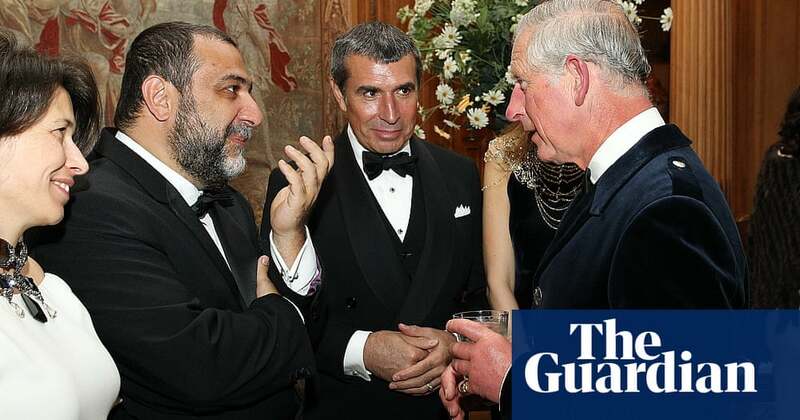 Troikas overall boss at the time was Ruben Vardanyan, an Armenian financier with close ties to Putin, a host of international celebrities and members of the British royal family. Two years ago he was listed as the 99th richest Russian by Forbes magazine. Vardanyan said he believed the bank knew its clients and applied regulations and compliance procedures that met the requirements of the legislation of that time. And he insisted he was unaware that Troika companies received funds relating to any frauds. The files highlight how money flowed through the network in a way that kept the sources of funds unclear. They reveal a number of intriguing transactions, including how staff at Troika apparently helped organise the transfer of $70m to one of Putins best friends, Sergei Roldugin. A cellist who is godfather to Putins eldest child, Roldugin was unmasked by the Panama Papers as the potential beneficiary of money suspected of being held on behalf of the Russian president. The sums revealed by this leak are higher than previously uncovered. Vardanyan admitted he had heard of Roldugin, but said: I havent done any business with him personally. Why did he receive money from Troika Dialog companies? I dont know anything about that. In 2009, 2010 and 2011, three transfers from Vardanyan totalling $200,000 went to the Princes Charities Foundation, a fundraising vehicle for Prince Charles. The money came from a British Virgin Islands shell company, Quantus Division Ltd. The donations were, said Vardanyan, charitable donations intended to preserve architectural heritage in England. The money went towards the rescue of Dumfries House, a stately home in Ayrshire with a priceless collection of Chippendale furniture. In 2007, the mansion and its collection were set to be auctioned off to private buyers. Charles came to the rescue, raising 45m at breakneck speed to save the property for the nation. But the venture left his foundation in debt, and in his efforts to plug the hole, the heir to the throne went on a fundraising drive. Vardanyan raised a further 1.5m, from a group of Russian businessmen, and the prince thanked them with a black-tie dinner in 2014. The files show funds from Quantus also covered the 2m cost of flying the late rock star Prince to Moscow for a Troika corporate gala in 2007. A further 20,000 was spent on Vardanyans attendance at the world leaders conference at Davos. The data suggests Quantus sent nearly $500,000 to American Express to cover Vardanyans credit card bills. His wife received 935,000 in payments over three years at an account in Spain, and his mother-in-law, Emilia Zonabend, a further 900,000. Sergei Magnitsky was a lawyer working for Browder who died in a Moscow prison after discovering the head of the citys tax office had conspired to issue fraudulent tax refunds. Two more cases suggest criminal funds flowed through the network: Companies named in the prosecution of a fuel price fixing scam at Moscows state-owned Sheremetyevo airport appear to have paid $37m into the Troika network. You have to ask yourself, why is money being moved in this way, through multiple companies? said Tom Keatinge, a money laundering expert at the Royal United Services Institute thinktank. Its a way of obfuscating source and ownership. One Troika shareholder, Valentin Zavadnikov, apparently drew on 70m from Troika network accounts to fit out and run his two luxury motor yachts Celestial Hope and Quinta Essentia. An invoice for the Quinta, whose rooms were perfumed with scent made from wine produced at the familys Italian vineyard, itemises 6,000 on electric sliding doors for the bathrooms, 60,000 for installing a hamam (Turkish bath), and 15,000 on water toys. Troika Laundromat companies loaned just under 15m to the mother-in-law of the then governor of Samara, an administrative region east of Moscow. Panama-registered firm Airship Universal Inc also managed by Troika sent 126,000 to Chelsea football club in August 2012 for a corporate executive box at its Stamford Bridge ground. The club said the purchase was arms length, at full market value, and that it complies with all relevant legislation in dealings with clients. In May 2011, Airship paid 100,000 to the dealership Rolls-Royce Motor Cars London, apparently on behalf of a Russian businessman. Had the showroom Googled their client, they would have found articles describing him as a former agent of the Russian security service the FSB. Its deeply concerning to us, and we take this situation extremely seriously, the dealership said in a statement. They added the sale took place under a different owner, that new management had introduced exacting standards and that an investigation was under way. A Quantus-funded offshore firm called Flashback Services Limited spent heavily on private jets. It paid more than $42m to the Canadian manufacturer Bombardier, and millions more to cover the crewing and maintenance of two jets listed on the UK aircraft registry, and operated from Farnborough airfield. Bombardier said it had a robust due diligence proess, and that its checks on Flashback did not reveal any anomalies. Vardanyan sold Troika in 2012 to the giant Russian state-controlled Sberbank, for a reported $1bn. But he remains in the business: he is the controlling shareholder in Armenias Ameriabank, and his partner there is the European Bank for Reconstruction and Development, which holds 18% of the shares. Headquartered in London, the EBRD is owned by nation states including the UK and the US.